Julio Cortázar was born in Brussels in 1914. At the age of four, he came to live in Argentina, where he group up in a suburban town near Buenos Aires. In 1938 he published his first volume of poetry: Presencia (Presence) and in 1949 his dramatic poem Los reyes (The Kings). When Rayuela was first published in 1963, it brought Cortázar immediately to the critics’ attention. The author was forty-nine years old at the time and was little known, despite having already published seven books: a dramatic poem, a volume of poetry—under the pseudonym Julio Denis—and five volumes of fiction. Rayuela remains his best-known work. 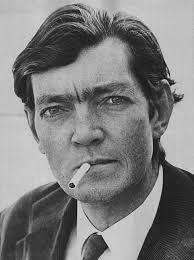 For more about Julio Cortázar, see WLT, Vol. 44.1.